Maruti Suzuki India, the leading auto manufacturer in India has officially announced the price hike for its Alto K10 model across the country. The Alto K10 prices are increased following its upgrade with safety features in compliance with the "AIS-145 Safety Norms". The price revision will be effective from Thursday. The new safety features include driver airbag, reverse parking sensors, speed alert system and driver and co-driver seat belt reminder. Maruti Suzuki Ciaz 1.5-Litre Diesel With New 6-Speed Gearbox Launched; Price in India Starts From Rs 9.97 Lakh. The car maker has introduced new set of safety features on Alto K10 as new safety standards come into effect from April 2019. As per the new safety norms, all the four wheelers manufactured in the country will be required to feature ABS as compulsory. 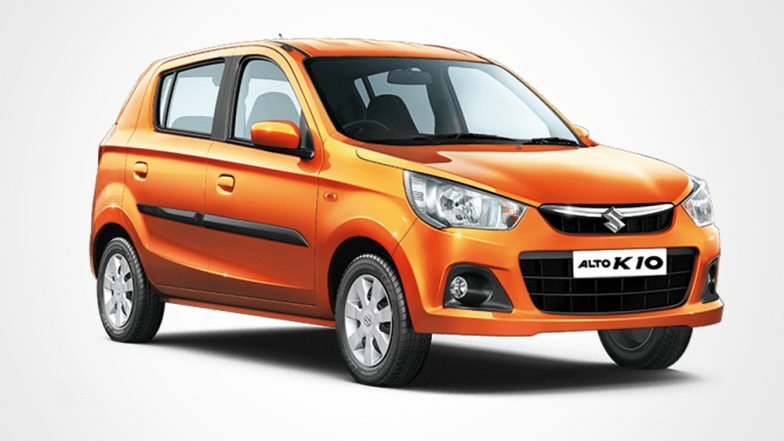 Maruti Alto 800 Production Reportedly Stopped in India; New Generation Alto Likely To Be Launched By H1, 2019. "Alto K10 is now compliant with AIS-145 Safety Norms... This will result in price increase in all variants of Alto K10 model. Depending on features introduced across variants, the ex-showroom price in Delhi and NCR region will vary from Rs 3.65 lakh to Rs 4.44 lakh (ex-showroom)" Maruti Suzuki said in a regulatory filing. "In the rest of India the price will vary from Rs 3.75 lakh to Rs 4.54 lakh (ex-showroom)."